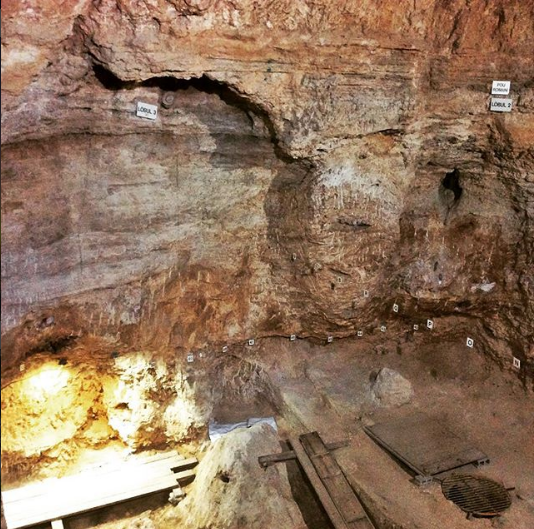 Did you know there are Neanderthal caves less than an hour drive away from Barcelona? And that you can visit them? I only found out last month, thanks to a tip from a friend of a friend. The village of Capellades is located about an hour North West of Barcelona, in the midst of picturesque hills. Their main attraction is the archeologically site of Abric Romani, the remains of a cave once inhabited by Neanderthals. Today, you can visit the site during a 60min guided tour of the Prehistoric Park of Capellades. The tour also includes the entry to the Neanderthal museum there and some fun activities like archery, making it great fun for kids. They offer two guided tours each Sunday, except over the Christmas holidays, all in Catalan language. You can buy a combination ticket with the Capellades Paper Mill Museum. As if having prehistoric caves is not enough of a reason to go there, the old paper will of Moli de la Vila happens to now be an important museum on the art of papermaking. The paper museum is just a few minutes´ walk away from the prehistoric park. And yes, there is another reason you have to go here! A castle from the 10th century! 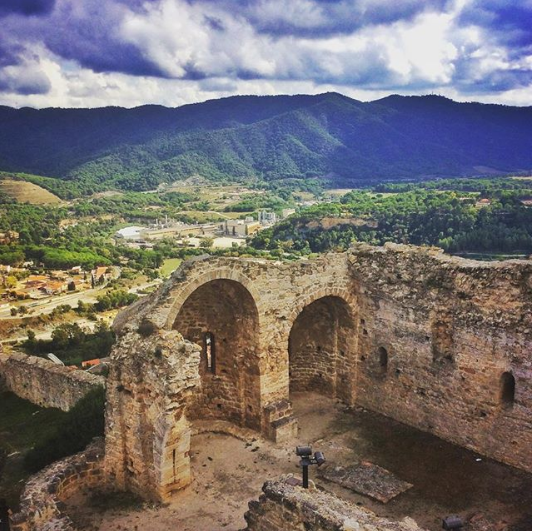 To get to the Castell de Claramunt follow the signs in Capellades and park on the visitors´ parking lot. From here it´s a bit of an uphill hike still, but it is so worth it. 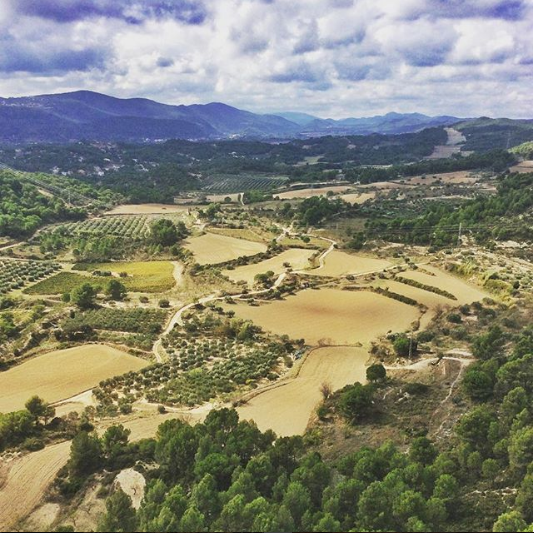 The views at the top are breath-taking: over the vineyards, olive trees, mountain ranges and surrounding towns all around. I was completely astonished when I found out about all these places, because after years of living in Barcelona I still had never heard about them. So, here´s to getting the word out! Would you like to go see Neanderthal caves and 1000 year old castles?